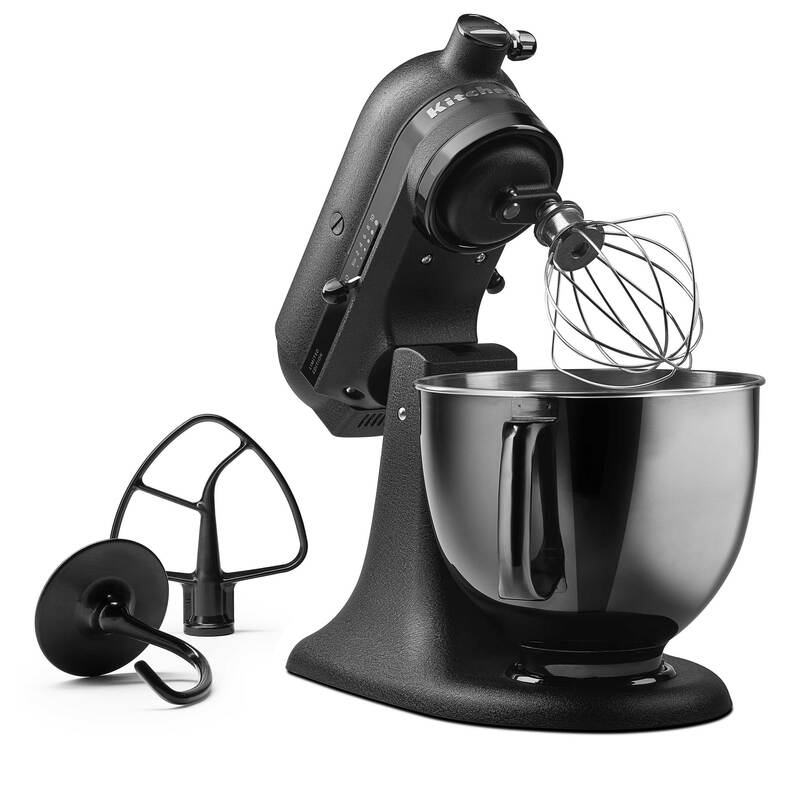 BENTON HARBOR, MI (February 15, 2017) – KitchenAid, long known for its colorful and coveted stand mixers, today unveiled its first monochromatic version as a limited edition offering. 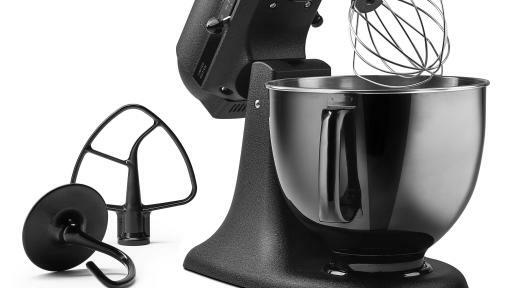 The Artisan® Black Tie Limited Edition 5-Quart Stand Mixer features stunning Cast Iron like textured finishes and premium materials, including die cast zinc, satin and black chrome. 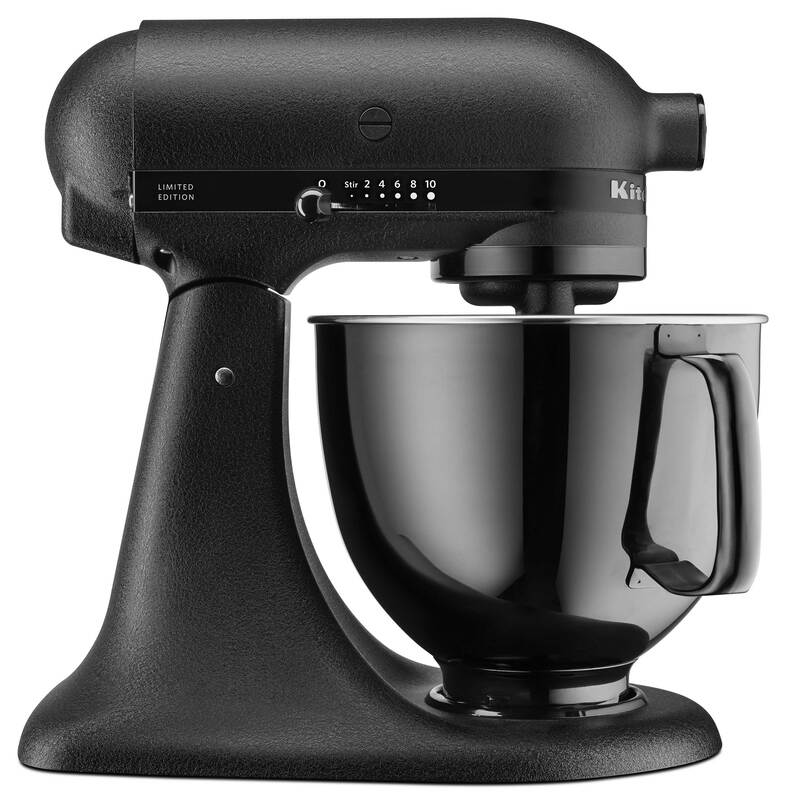 The new mixer marks both a celebration and evolution of this iconic kitchen essential’s 85 available colors and finishes. 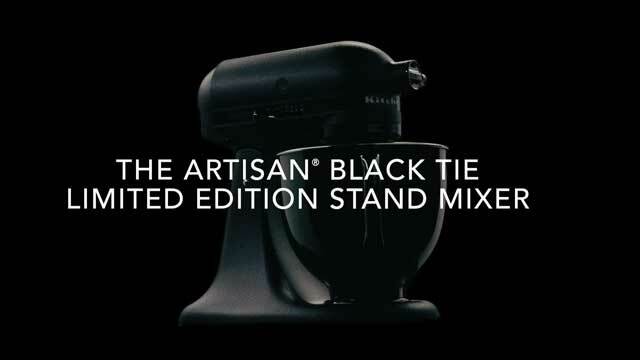 Available exclusively on kitchenaid.com, only 500 Artisan® Black Tie Stand Mixers will be sold in the U.S., each individually numbered on the custom trim band. 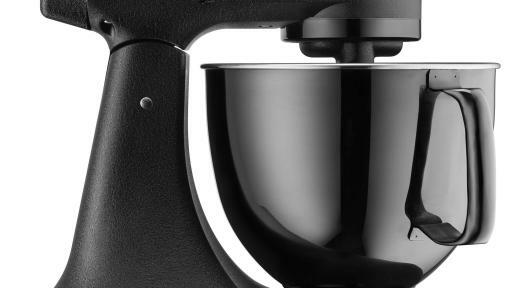 A commemorative card authenticated by John McConnell, Senior Design Manager for KitchenAid small appliances and Ken Hossler, Senior Director of Manufacturing for KitchenAid will accompany all limited-edition models. 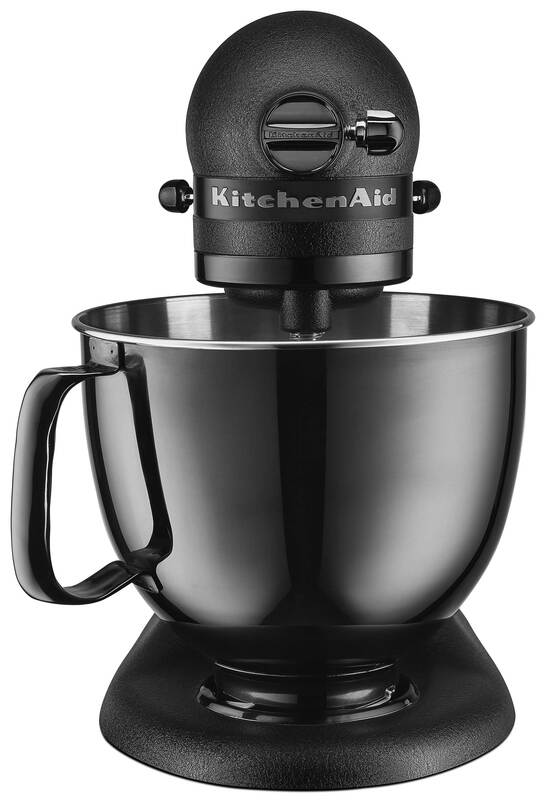 The limited edition model includes a 5-quart black stainless steel bowl, black coated beater and dough hook. 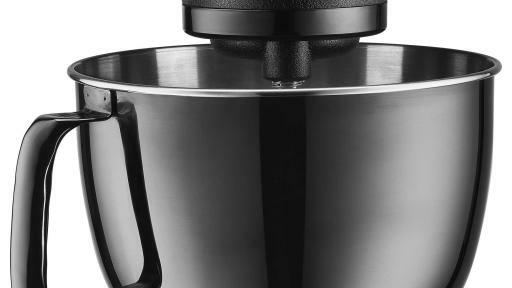 All are dishwasher safe and boast the same robustness as standard models. The Artisan® Black Tie Limited Edition 5-quart Stand Mixer is now available for purchase exclusively on kitchenaid.com at a price of $999.99.